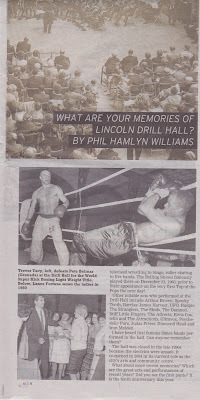 What are your memories of Lincoln Drill Hall? At this year’s beer festival, the mayor told me that she remembered drilling there. Andy Blow recalled a story told by the caretaker of wrestling and one contender in particular who was a Coronation Street fan and so had to go up to the caretaker’s flat to use her television, presumably between bouts. More than one person I’ve spoken to was there when the Rolling Stones came. I want to capture as many memories as I can as a ‘hall of fame’, before, as they say, it is too late. The beginning of the Drill Hall story was probably a good forty or so years before the hall was built. In the mid 19th century volunteer battalions of riflemen were being formed all around the country to defend the nation when the professional army went overseas. They needed somewhere inside to train and drill halls were such places. 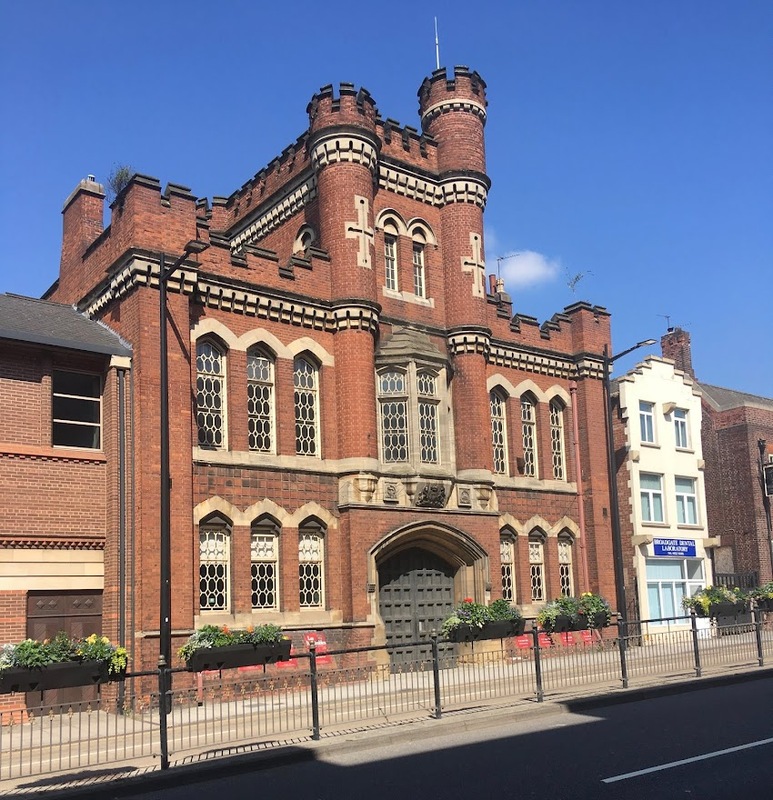 The Lincoln Drill Hall is regard as one of the better ones and this shines out from the article in The Times on May 26th 1890 about its opening. It obviously caused quite a stir. Joseph Ruston was insistent that there should also be kitchen for the hungry of the city, a tradition we try to honour with our #CompassionateLincoln events. One of the upstairs rooms, which we renamed the Cosker room after my predecessor as chair of trustees, has a sprung dance floor. Was that original or added later? We think that the room was once used as a private members club. Can anyone remember? In WW1 the Lincolnshire volunteers mustered at the Drill Hall before going off to war. The Hall was then used as a hospital for the wounded returning from the trenches. In WW2 the Hall was once again the place where the troops mustered. After the Second World War all kinds of events began to be staged in the Drill Hall from televised wrestling to bingo, roller skating to live bands. The Rolling Stones famously played there on 31 December 1963, prior to their appearance on the very first Top of the Pops the next day! Other notable acts who performed at the Drill Hall include Arthur Brown, Spooky Tooth, Barclay James Harvest, UFO, Budgie, The Stranglers, The Skids, The Damned, Stiff Little Fingers, The Adverts, Elvis Costello & The Attractions, Ultravox, Psychedelic Furs, Judas Priest, Diamond Head and Iron Maiden. I have heard that famous dance bands performed in the hall. Can anyone remember them? The hall was closed in the late 1990’s because the electrics were unsafe. It re-opened in 2004 in its current role as the city’s arts and community centre. What about more recent memories? Which are the great acts and performances of recent years? Did you see the first Panto? It is the tenth anniversary this year.